Manfreed’s delicious, healthy recipe for a homemade egg salad sandwich is simple, easy and quick to make. You kids and new cooks can make this quick, easy to make recipe. 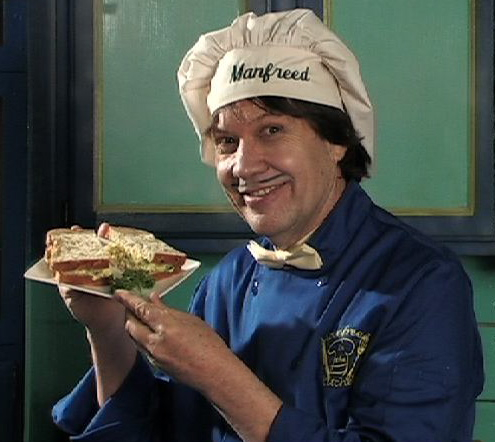 How to make an egg salad sandwich is easy to follow on Manfreed’s egg salad sandwich video. Your family, friends and relatives will ask for you to make this egg salad sandwich recipe for snacks, lunches and picnics. Please enjoy more easy, simple to make, healthy homemade recipes here on Manfreed’s cooking website. Manfreed's delicious, healthy recipe for a homemade egg salad sandwich is simple, easy and quick to make. You kids and new cooks can make this quick, easy to make recipe. How to make an egg salad sandwich is easy to follow on Manfreed's egg salad sandwich video. Your family, friends and relatives will ask for you to make this egg salad sandwich recipe for snacks, lunches and picnics. Please enjoy more easy, simple to make, healthy homemade recipes here on Manfreed's cooking website.